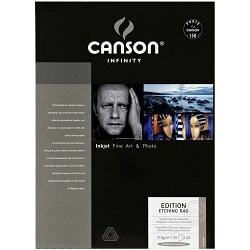 Canson Infinity papers are manufactured by the worlds leading Fine Art Paper Mill, Canson. For producing stunning colour photographs. Gives softened reflections on photographs. A great choice for black and white and colour photography. The perfect choice for black and white and colour photographic reproductions. Winner of the prestigious TIPA 2015 award for the best inkjet photographic paper! The highest gloss level of the photographic resin-coated paper market. The product of choice for stunning colour photos. Winner of the prestigious TIPA 2010 award for the best inkjet photographic paper! 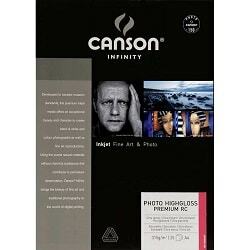 Ideal for fine art photography as well as fine art printmaking. Gives a unique and unrivalled character to Fine Art reproduction and photographs.